Your child is your pride and joy, so ensuring that you can provide the very best for them is paramount. Throughout their lives, their education will shape who they are as a person; from the extra-curriculum activities that they are enrolled in, to the resources on hand to help enrich their experience, choices are made every day in order to ensure that they can flourish as an individual. However, there are additional things that you may consider in order to help them on their journey. From the second you lay eyes on your child, you will evidently want the best for them. More often than not, busy demands will mean that you can’t always be there to give them the undivided attention that you wish them to have, so investing in a reliable, trustworthy individual to be on hand for them is beneficial. Despite there being a plethora of different childcare providers, the service that a nanny provides is second to none. There with your child from a rosy-cheeked newborn to a curious child on their first day of school, they can offer guidance and a personalised approach to life that a nursery simply cannot. You may currently have a selection of exclusive household staff at home, so why not consider one especially for your child? Here at Beauchamp Partners, we believe that a nanny is a fantastic asset to your child, especially when it comes to their education. Below, you will find a few of our top reasons why we think that a nanny will enrich your child’s education perfectly! One of the most prevalent benefits of having a nanny is the personalised approach to your child’s education. Throughout your child’s life, they will be exposed to new cultures and environments which are often accompanied by new languages. Whilst their first language should be impeccable, it is becoming increasingly desirable for people to speak a second (or even a third or fourth) language. Although your child’s education at school should come accompanied by lessons in various languages, it can be extremely beneficial to introduce this from an early age, especially if you are a bilingual household. “We recently moved to Chile and while other expat children found it hard to adapt to the new language, our nanny was a huge help in their transition to Spanish. Our children arrived with only a basic understanding of the language, but after a couple of months with our nanny, they began to converse with each other in Spanish and had no issues when they joined their new Spanish speaking nursery a little while later” Nina from The Expater tells us. Hiring a nanny to speak exclusively to your child in another language removes the pressure that your child will experience in school. It should come as no surprise that a child learns best through interaction and practice, so introducing a language at home can be advantageous. Children react to stimuli at home as a result of an emotional response, so will acquire the additional language with more ease than they would at school. Each child’s development happens at different stages. For some, their speech may take slightly longer to form, whereas others may need educational stimulation beyond their years. Having a nanny means that they can become invested in the growth and education of your child and can find applicable classes and activities that work for them. When frequently juggling several high-priority tasks at once, finding specialist resources for your child can take up valuable time. Plus, after a day at work, the time that is spent with your child should be relaxing and enjoyable for both of you, free of any stresses. Having a nanny means that they can take the time to read how they can enrich your child’s education, discovering new methods of introducing skills that will be vital later in life. “Our nanny does all the background work, so I can spend more quality time with my children. Some feel that employing a nanny weakens the parental bond, but I’d argue it’s exactly the opposite. Before I had a nanny, I was spending all my time cleaning up after my kids, whereas now I get to play with them. They get to enjoy messy play and I don’t freak out at all the mess!” says Nina. Having a nanny enter your home to look after your child can create an emotional bond that cannot be replicated. If the nanny is introduced as a newborn, they will become an integral part of your child’s life from the start, someone who they build a rapport with and rely on for support. However, if they are brought in slightly later in life, it is important to consider that allowing an individual into your space requires a great deal of trust, even more so as they’re coming into a position of authority. Although, once these boundaries have been broken down, the relationship between your child and nanny can be incredible. Often, your nanny will have an educational background which allows them to know how best to care for your child. 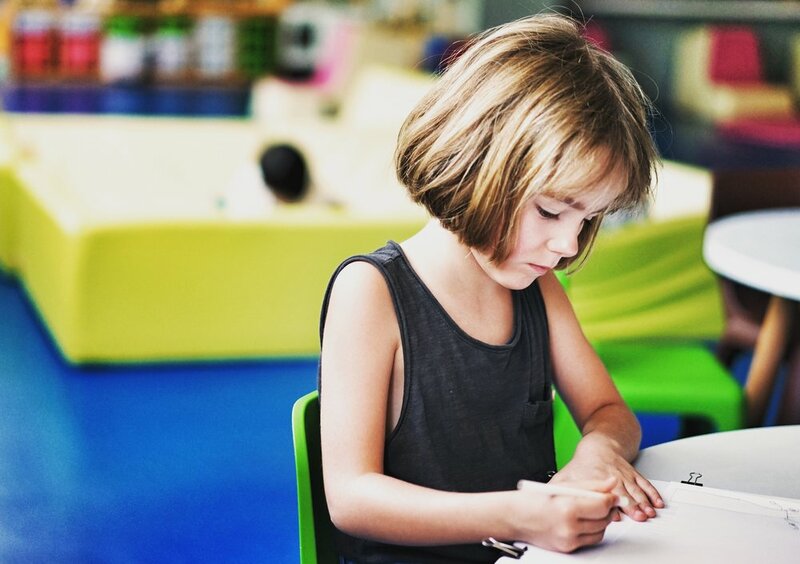 Whether they have a degree in early childhood, have practiced child psychology or have perhaps specifically catered their studies around being a nanny, they will not only understand the academic side of your child’s education but can also offer emotional support. It is more than likely that your nanny will have experience caring for other children, so will have discovered useful tools and methods that aid your child’s emotional development. Through this, your child will be able to be more in-tune with their emotions and be able to communicate how they are feeling at any given time. Although no two children are the same, these skills that your nanny has picked up will be effective in easing your life with your child also. What are the benefits of hiring a housekeeper?